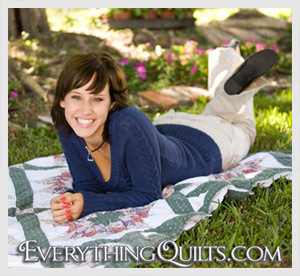 For over a decade, Everything Quilts has been dedicated sharing with you our passion for quilting and sewing. Our goal is to inspire you to create your next quilt project, to educate you on what tools and sewing notions are best to use for your project, and to provide you with the convenience of top quality quilt fabrics and sewing supplies delivered to your door. There is a special sense of purpose and accomplishment when you create and finish a quilt project. Whether it is the feeling of warmth that comes from giving a personally sewn gift to a friend or loved one, or knowing that your quilt will be a treasured heirloom for generations to come, or giving the gift of compassion with a quilt made for someone in need…quilts and giving go hand in hand. Let us help make your next quilt or sewing project simple and fun with our pre-cut quilt fabrics and kits, jelly rolls, charm packs and more. It is our goal to make your time more enjoyable and every fabric and product we offer is carefully selected by quilters. 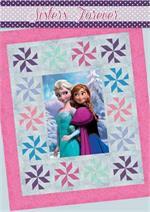 Our goal is to inspire you with quilt project ideas, pattern downloads, machine embroidery and free quilt patterns. 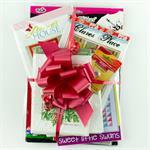 We offer you more information with quilting software and DVD's, quick project ideas and sewing book resources. Everything Quilts has been bringing you dedicated customer service, quality products and secure online shopping since 2000. As quilters ourselves, we share in your passion for quality cotton quilt fabrics, unique quilt kits that are perfect for beginner quilters, modern quilters and our watercolor quilting enthusiasts. and convenient pre-made bias binding and quilt labels. No matter what you love to sew, Everything Quilts understands. When you order from Everything Quilts, you can be assured that we are dedicated to giving your order the priority and attention to detail you deserve. 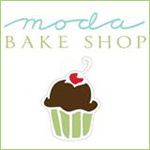 You may shop our website 24/7 and be assured that all orders use our secure shopping cart with SSL encryption. We carefully package and check all orders in our smoke-free and pet-free environment, and orders usually ship out within 1-2 business days after submitted. We keep you updated on your order with email updates and tracking information every step of the way. At Everything Quilts, we understand that your budget is important, and we offer a free Lay-A-Way program, and discount coupons and special offers via our eNewsletter, Facebook and Blog. 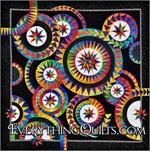 Everything Quilts has continued to carefully select products with your individual style in mind. Every quilt fabric, quilt kit, pre-cut fabric bundles, quilting notion, sewing tool and even thread have been chosen to make your sewing experience enjoyable. Our goal is to inspire sewers and quilters of all generations from beginners to experts - we all connect with our love of quilting. Spreading the Love of Quilting and Sewing. There are so many ways we can all help out communities around us, and Everything Quilts gives support to several non-profit guilds and programs locally in Colorado. Volunteers have created thousands of quilts, cancer care hats, neo-natal blankets, elderly aids with supplies and support for those in need.